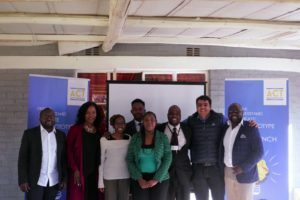 Highlights from the 2018 ACT Entrepreneurship Program…. The 2018 ACT program was held in July, and what an exciting, intense and action packed month that was. 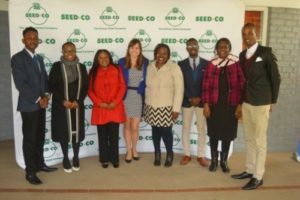 Our nineteen participants from across the country (and from Namibia) experienced the emotional roller coaster that is entrepreneurship. As promised, blood, sweat, and tears were shed aplenty. 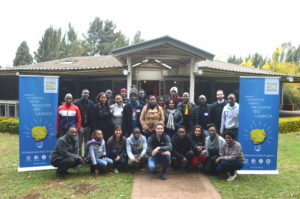 This year’s facilitators hailed from the UCT Graduate School of Business (University of Cape Town), the Haas School of Business (University of California Berkeley) and the Ecole Polytechnique in Paris, France. You can view their profiles on our website. What an amazing and talented team, and we are grateful to them for giving their time to making ACT such a success. Similarly to last year’s program, week one was focused on introducing our participants to the key principles of design thinking, which is at the core of our training program. And yet again the famous $2 exercise demonstrated that the value in a start-up lies in skill and resourcefulness of its founders, and that value can be created with little to no capital. Week two was a very exciting. 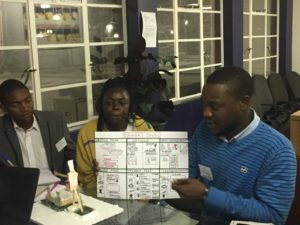 Our students were given the opportunity to put their design thinking skills into practice with some of Zimbabwe’s corporate giants, namely Seedco, Profeeds and Bakers Inn. 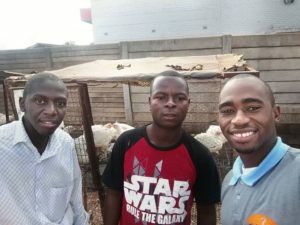 Business challenges ranged from creating bi-products, developing marketing campaigns, making chicken farmers more productive with their investments and improving the customer journeys from awareness to procurement. It was a vigorous process and collectively over 200 interviews were conducted during the week. After 7 days of hard work, company executives were invited to our HQ to discover the solutions that our teams had created. The group came up with some great ideas and the company representatives were extremely impressed with some of the proposed gadgets, strategies, systems, recipes and marketing campaigns. After having gone through a very intense first two weeks, the teams re-focused their energies on developing their own entrepreneurial ideas. Teams worked on a variety of issues such as improving the student experience, increasing efficiency in receiving healthcare, access to affordable housing, improving the performing arts sector and making farmers more productive as well as accessing markets. On the final day of the program, as per tradition, our teams pitched their ideas to our panel of judges. 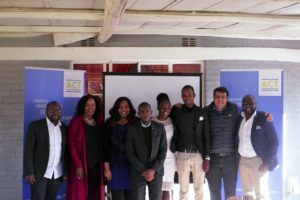 We would like to publicly thank Jamille Jinnah from Interim C, Nomvula Mhambi from Disruptive Innovation, Uchi Gappah from Nurture Investment and Abel Mpunzwana from Untu Capital for having taken the time to listen to our students’ presentations and ask probing questions. After much deliberation, the first runner up was ZimDoc who came up with a system to manage the relationships between patients and doctors. It was believed to be an idea with the highest social impact. Famba came in first place with a system to help students and service providers have a mutually beneficial relationship. Having gone through the ACT program, our alumni now have access to a variety of opportunities, such as mentor matching, quarterly workshops and access to limited finances for those who show commitment and traction in their startups. The 2018 ACT program may be over, and the winter months behind us, but the year is by no means over. Entrepreneurs do not rest! We have some business clinics lined up including a Compliance and Banking Clinic at the end of September and a Social Media and Branding Clinic at the end of November, and various initiatives with local universities and banks underway. Keep an eye out for announcements! We sign off for now by thanking our alumni for their commitment, our facilitators for hard work, and our judges for their time and support. ← What happened in 2017?